What is the meaning and function of baptism? 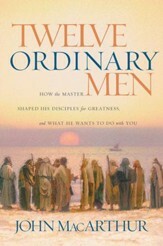 Exploring Scripture, Jamieson argues that it's the initiation oath of the new covenant that ushers us into Christ's kingdom; that it should be required for church membership; and that partaking in the Lord's Supper renews that kingdom bond and binds the church into one body. 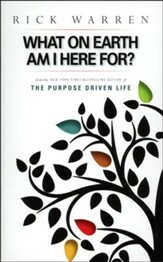 256 pages, softcover from B&H. Does everyone who joins a local church need to be baptized? What should churches that practice believer's baptism do about those who were "baptized" as infants? This is a live question for many churches today, and it raises a host of other crucial questions: What is the meaning and function of baptism? Does baptism have any inherent relationship to the local church? How do baptism and the Lords Supper fit together? What exactly is "church membership"? 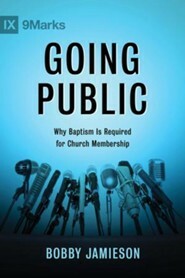 To answer the question of whether baptism is required for church membership, Going Public seeks to rebuild ecclesiological foundations, digging deep into the Bibles teaching on baptism, the Lords Supper, and church membership. Bobby Jamieson describes how baptism and the Lords Supper transform a scattered group of Christians into a gathered local church. It traces the trajectory of a churchs birth, how gospel people form a gospel polity. Baptism is where faith goes public. It is the initiating oath-sign of the new covenant. It is the passport of Christs kingdom and a kingdom citizens swearing-in. The Lords Supper is the renewing oath-sign of the new covenant, a corporate act of fellowship with Christ that binds the church into one body. Baptism confers church membership and the Lords Supper confirms it. Baptism confers membership; the Lords Supper renews it. So baptism is required for church membership like vows are required for marriage. 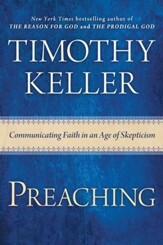 After building and summarizing this positive theological case for why baptism is required for church membership, the book answers objections, poses challenges to the open membership view, and applies this theological vision to the local churchs practice of baptism, the Lords Supper, and church membership. Why is baptism required for church membership? Because church membership is a public affirmation of someones public profession of faith in Christ, and Jesus has appointed baptism as the means by which his followers publicly profess their faith in him. Why does this question matter? Because removing baptism from membership erases the line Jesus himself has drawn between the church and the world. 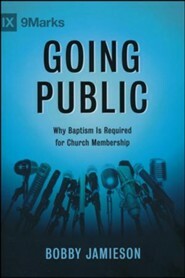 "I am glad to commend Bobby Jamiesons work, Going Public: Why Baptism IsRequired for Church Membership. I know of no other work that so thoroughly considers the ecclesiological, theological, and biblical issues that connect baptism to church membership and participation in the Lords Supper and does so in a clear, readable, and irenic manner. It is not that I agree with all the answers he gives; we differ on a number of points. But he is raising the right questions, and they are questions few others are raising. 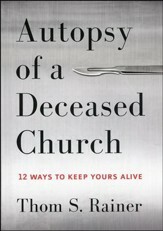 I hope it receives a wide readership and sparks a lot of constructive discussions." 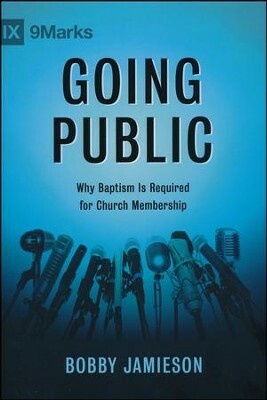 I'm the author/artist and I want to review Going Public: Why Baptism Is Required for Church Membership.